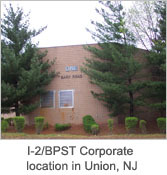 I-2/BPST Inc., located in Union New Jersey, is a manufacturers' distributor and provider of bulk material processing and handling equipment & systems. I-2/BPST can assist you with selection, implementation and installation of bulk solids equipment for industrial material handling systems. We are your single source for your Liquid and Bulk Solid Material Processing Equipment Needs. If you are a manufacturer seeking an agent/representative for your product line, take a look at our capabilities. If you are a buyer, please review our material processing offerings and then email or call us to discuss how we can best serve you. With more than 15 years of experience and representing dozens of manufacturers, scores of products, and hundreds of clients, our firm is uniquely qualified to provide added value to organizations seeking cost-effective solutions to their material processing challenges. A sampling of the bulk material handling equipment and processing equipment that we sell, install and implement is shown below. All of our material handling products are organized by category and manufacturer in the right-hand column. 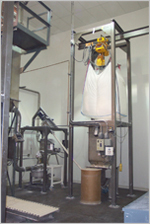 We are the only Representative company in the Metro Area with a complete virtual solid material processing/handling production laboratory with Food Grade compressed air system, Grinding, Blending/Mixing, Conveying, Bulk bag loading/unloading and Packaging system. Visit us, experience real life production applications and discuss your applications. Tablet Handling Systems, Valves & Gates • Weigh Belt Feeders.